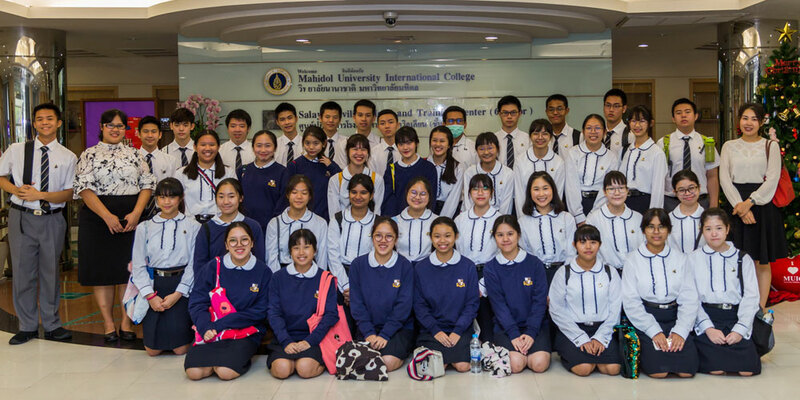 A group of 50 teachers and students from Panyarat High School visited Mahidol University International College (MUIC) on January 9, 2019. 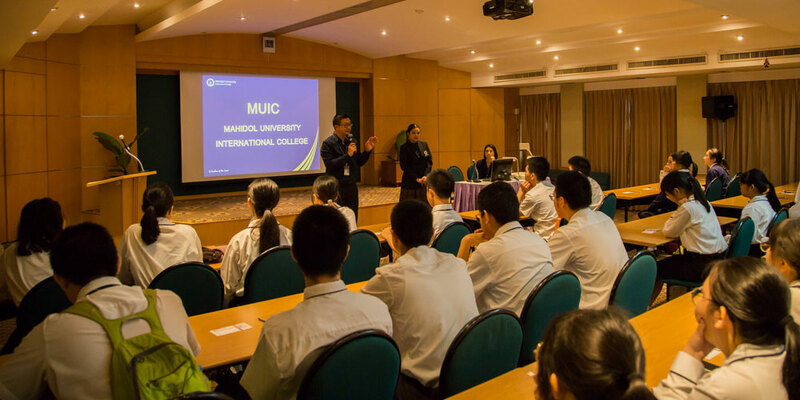 On this occasion, the students learned more about MUIC’s international programs and admissions procedures which will be helpful for their plans to apply for university. 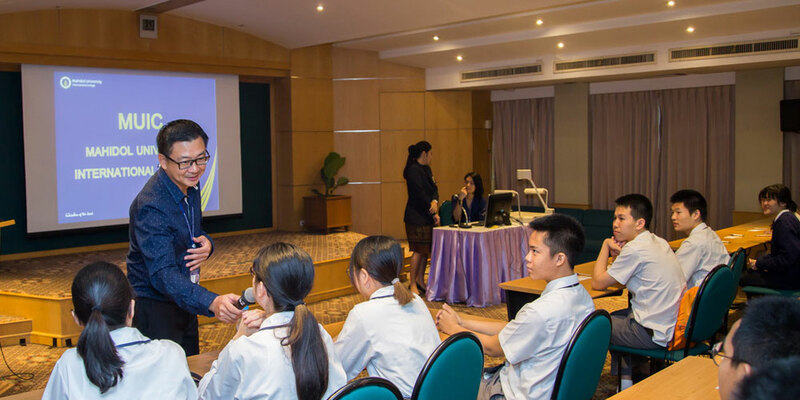 They also had a Q&A session with MUIC’s current students who came to share their experience about college life. Afterwards, they took a tour of MUIC buildings and facilities, including the Salaya Pavilion Hotel and Training Center.